Syrian peace hopes! | #Hope lives! 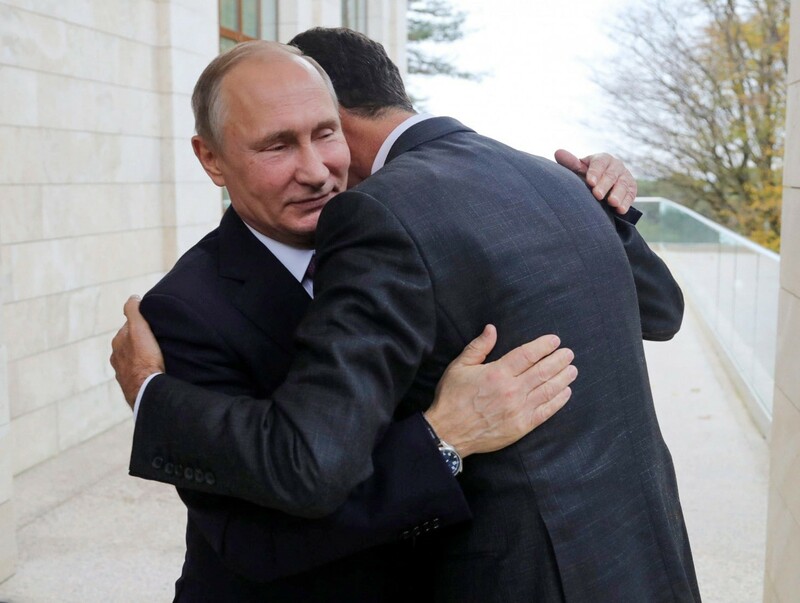 Mr. Putin embraced President Assad of Syria, before talking to President Trump for an hour, to come up with a peace settlement in Syria. It will be an important step in stabilizing the overly volatile Middle East, of recent memory. The whole region and North Africa, has gone through repeated wars and coups and there has been too much destruction in major cities like Raqqa and others. Millions of refugees have been created, which are a heavy burden, on host countries. It is time to try and return normalcy and growth, which can only come from a lasting peace. Old leaders and new thoughts can lead to a long term solution, to a region’s problems. Let us work for a future which brings a sensible peace.